Earth’s geology and weather is a result of capacitance in Earth’s electric circuit. Forget anything you’ve been taught about geology. It’s wrong — provably wrong — from evidence you will soon see. We are taught to associate geology with billions of years of “tectonic forces” is actually the result of capacitor discharge across Earth’s crust and atmosphere. The Earth’s own electric circuit electroplated, etched, and arced to form the land, patterned by the Earth’s electric field. The first evidence of Earth’s electrical formation is provided by the landscape — all you need do is look at it. In this series of articles, you will be shown features created by electric winds. The challenge is to believe your eyes and take a serious look at the theory behind it. The following images are just teasers. An explanation and even more dramatic evidence will take some explaining — several articles, in fact. 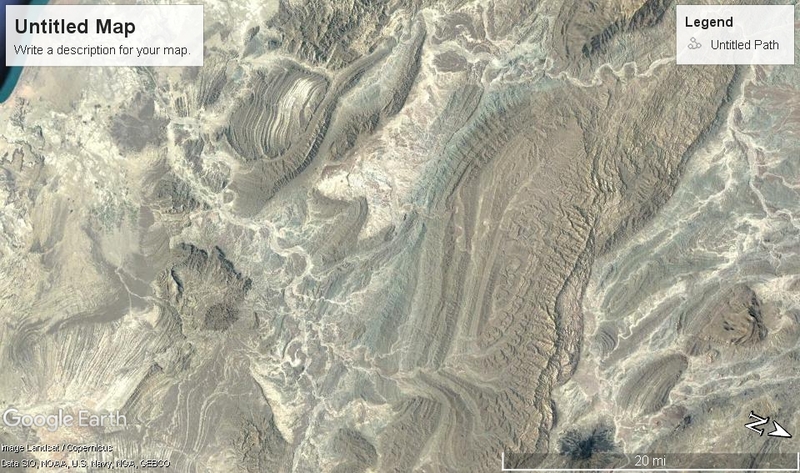 But first, look at these basin and range mountains and contemplate what caused them. They look as if a blowtorch blasted the land, don’t they? They are coherent flow patterns formed in concentric waves — exactly what a blowtorch would do. Just look. 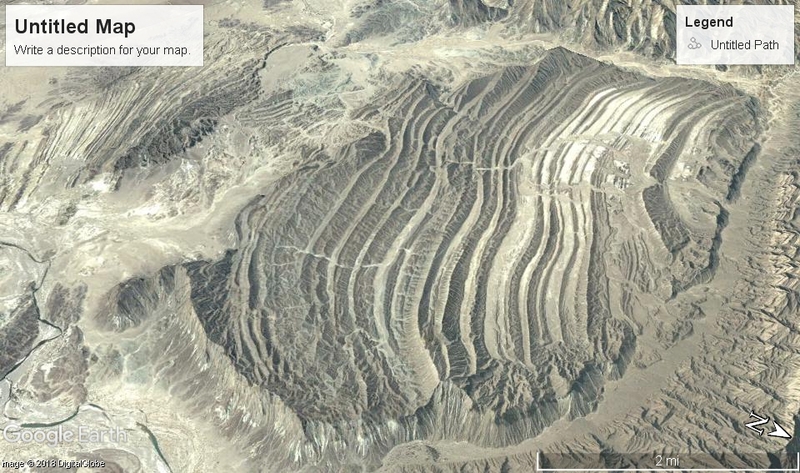 This is a visual coincidence according to consensus geology. According to the accepted scientific explanation for these fluid curves in mountains and basins, the rise and fall in such a coherent fashion require a long sequence of unrelated events. First, the rocks have to be made at some depth, miles below the surface after millions of years of heat and pressure. Then the ground has to roll in an unproven act called “subduction” that stretches and heaves the land so the rocks come to surface as mountains and deep basins form between. The rocks have to push up by faulting from an earthquake. And with this violent upheaval, huge slabs of rock remain largely intact, somehow always ending up in vertical, or horizontal shelves of stratified rock at consistent dip angles. Then much of it has to erode away, sand grain by sand grain, over millions of years of rain and wind, which strangely sharpens the angles of what remains. Remarkably, after all these chaotic processes of stretching, lifting, falling, and eroding for millions of years, instead of a pile of rubble, as would be expected, coherent parallel rows of ridge lines and oval, round, and swirling structures of repeating fractal forms emerge. It makes one wonder at the marvellous coincidence of it all. How does a mix of ad-hoc “theories” about something never witnessed — guess-work really — add up to anything as coherent as these structures. The answer is they don’t. Not in the Electric Universe. Coincidence isn’t a scientific explanation in EU Theory. 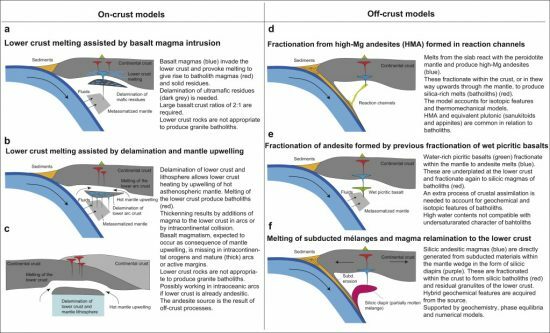 Earth’s surface form is easily identified as coherent wind-blown features created by winds of primordial times when Earth was in a different solar environment. The entire process of their formation will be explained. The environment was not unique, and that is why it can be explained. 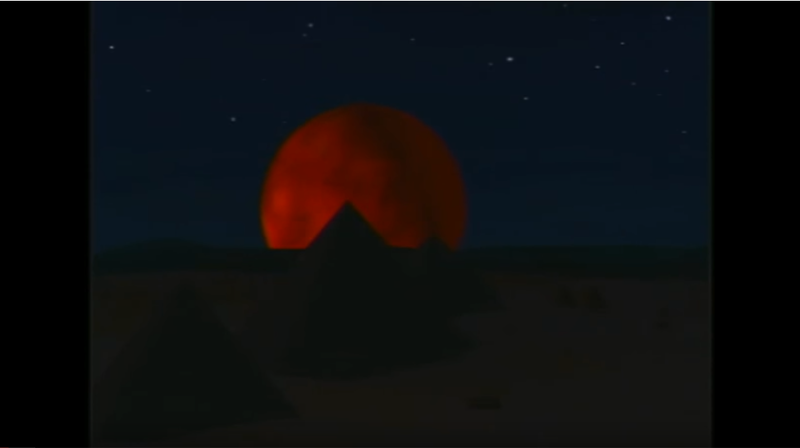 It exists today on another planet in this solar system. 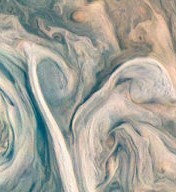 So, we can look at these bizarre features on Earth and see that the same winds that shaped this land are very similar to the winds that we see on Jupiter today. Take a close look at all the features in these comparative images, because they aren’t just similar, they are almost identical. The cyclones on Jupiter produce violent downdraft winds like hurricanes do on Earth, but Jupiter’s are more ionized, hot, and powerful. 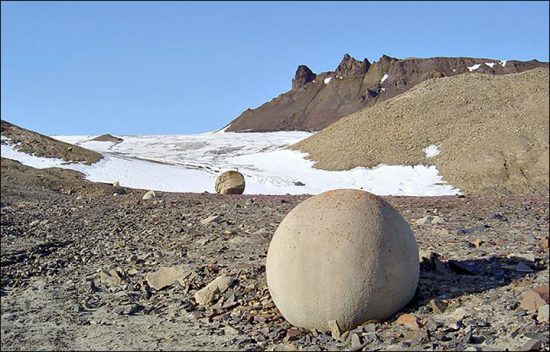 The “craters” on Earth are the result of downdraft winds, as would be produced by such powerful cyclones. 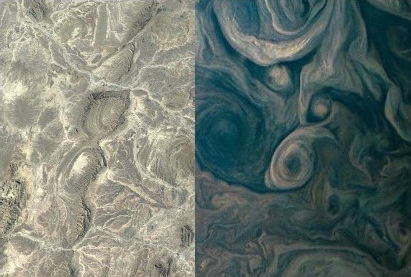 The reason these land-forms on earth and the clouds on Jupiter are similar is no coincidence. 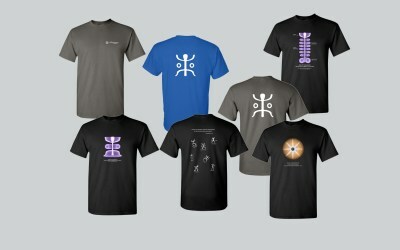 As will be shown, they trace to the same electrical formation endemic to planetary circuitry. And that is capacitance. The sustained storm called the “Great Red Spot” (GRS) is electrically analogous to primordial weather here on Earth. 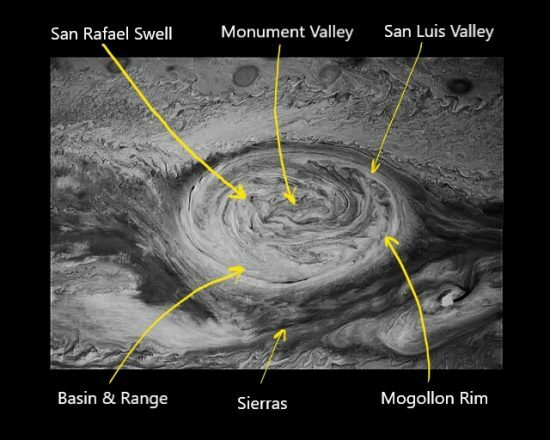 In fact, so similar is the Great Red Spot on Jupiter to the storms that once raged on Earth, we can visually correlate features. Why that is so will be explained in the course of the “Eye of the Storm” articles. The electric field in the Solar System affecting Earth was very different, and it caused the voltage potential between ground and sky to go off-the-charts, rising to billions, or perhaps trillions of volts. It produced storms that covered the Earth with erupting volcanoes, lightning arcs, winds, and tsunami’s that changed the face of the planet. Winds screamed at Mach speeds, volcanoes erupted country-sized sheets of magma and shrouded Earth with ionic dust. The land became charged with electricity. Arcs erupted from Earth’s interior and scoured its face with bolts of surface conductive lightning. Pools of mineral and moisture ionized below deposits and lifted mountains of earth away in drift currents in a powerful electric field, the likes of which we have never experienced in our time. The geologic onion must be peeled one layer at a time and looked at with fresh eyes and electricity in the geophysics tool kit. We now look at the outermost layer. Evidence that Earth’s geomagnetic field amped-up to ‘electroplate’ this layer is obvious everywhere, so we start with that evidence and follow where it leads. 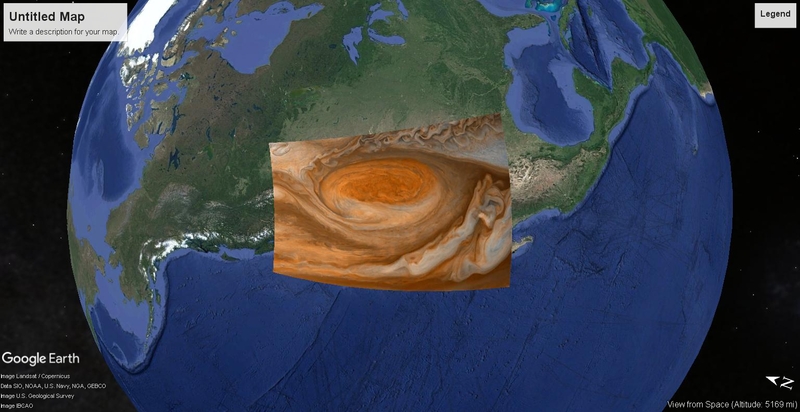 Where it leads today is an overlay of the Great Red Spot of Jupiter onto Earth that shows the approximate shape, location, and proportion of the multi-vortex storm that created the mountains and high desert plateaus of North America. The storm left its imprint on the land: it’s vortex outline, it’s internal turbulence, it’s vertical and horizontal jet-stream winds and lightning arcs. As will be shown, the Great Red Spot is the single most important key we have to understand weather, geology, and our ancient past on Earth. 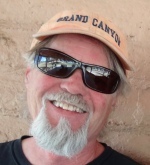 Before we compare, and explain, the features of the Great Red Spot and the Colorado Plateau, bear in mind the evidence of electricity in geology and weather that we have already looked at. 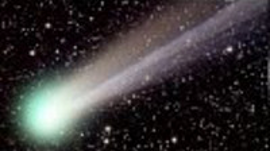 Each of these past Thunderblog/Space News articles features an expression of the primordial storms we are discussing now and should be understood in that context. In “Arc Blast Parts 1 – 3“ and “The Monocline“, we looked at triangular, harmonic waveforms on mountain flanks created by supersonic winds and reflected shock waves. In “The Maars of Pinacate“, we looked at volcanoes and discussed evidence of their cause being electrical discharges within or beneath Earth’s crust, and how blossoms of violent eruption drew cinder cones to them by in-flowing, rising winds similar to an air-burst nuclear explosion. 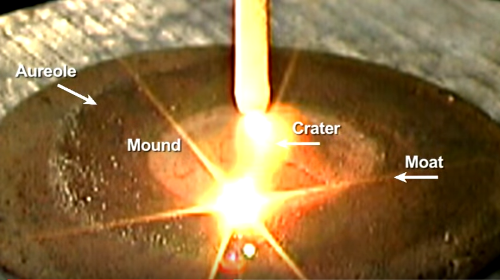 In “Lightning Scarred Earth, Parts 1 – 3“, we looked at craters, pinnacles, dikes, and buttes formed by lightning, and how the combination of lightning arcs and ambient winds form mountains. In “Sputtering Canyons, Parts 1 – 3“, we looked at how dust laden electric winds deposit plateau’s, and how an electric field can diffuse charge through the landscape and cause sputtering to eat away layers of those deposits. And in “Summer Thermopile“, “Tornado – The Electric Model“, and “Nature’s Electrode“, we looked at electrical models to explain the form and behavior of lightning, thunderstorms, and tornadoes. Each essay presents hypotheses for how electricity is the common denominator in every phenomenon. The formula is quite simple. First, assume electricity is the one true force in Nature. In other words, accept that acoustics, thermodynamics, fluid dynamics, chemistry — all are emergent properties of electricity acting in different phases of mediums. Ignore the emergent effects and identify the underlying electrical process — the wave-forms and circuitry involved. Virtually every field of physical science — nuclear physics, geophysics, fluid- and thermodynamics, chemistry, climate models, you name it — critically rely on mathematical models based on known electrical processes, such as charge diffusion, harmonics, and feedback. These are common denominators found in every large scale, time-dependent, coherent feature of Nature — which consensus science arbitrarily and incomprehensibly attributes to chaos. The “chaos” is not random, or arbitrary, and actually presents complex patterns that belie its underlying, non-chaotic electrical make-up. Also, to see the underlying, non-chaotic electrical make-up of Nature, one must recognize electricity is a fractal phenomenon. How current diffuses in a medium, whether plasma, liquid, or solid, takes form in fractal elements that repeat in harmonic scales. So . . . their form can be identified. 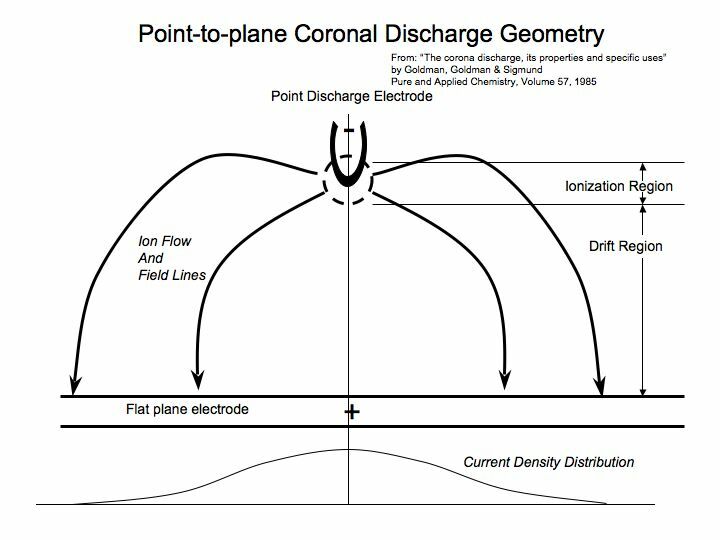 Charge diffusion, whether a z-pinch discharge like a lightning bolt, partial plasma discharge like flames and vertices, or solid state diffusion as in semiconductors, takes form in scalable, harmonic, fractal patterns according to the laws of classical physics, until its charge is neutralized in atomic and molecular bonds. 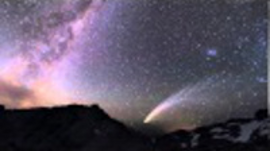 The patterns can be seen at every scale, from tiny crystals of silica to continental mountain arcs, and properly identifying them and their cause is the first-level proof of electrical formation. If you need laboratory proof, look at any welding process, crystal fabrication, or electrochemical process where slag is produced. Rocks are manufactured without millions of years of pressure and temperature if electric current is applied. Electricity, even in small currents, can produce temperatures and pressures that exceed that of the Sun. Rocky outcrops, boulder fields, quartz veins, gravel beds, sweeping slopes, triangular flat-irons, volcanic fields, canyons and river beds, all display the effects of electrical diffusion and the secondary effects it produced. In the atmosphere, it takes form as clouds. 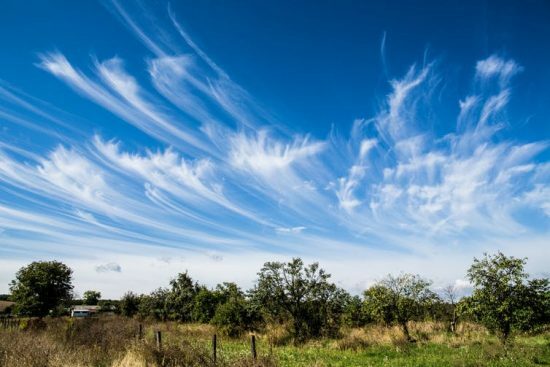 Clouds should be regarded as aerial crystals because electrically, they form identical to crystals with a nucleation, aggregation, and diffusion process that expands condensation in the atmosphere the same way crystals grow. The liquid crystal growth of clouds will organize into rotating storm systems as a result of capacitance in Earth’s circuitry. 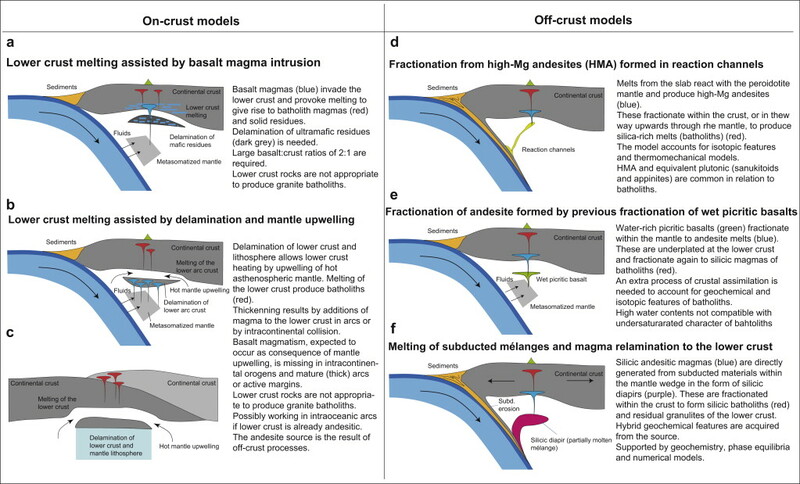 In effect, Earth stores energy as a build-up of charge in its layers of crust and atmosphere. Then it dissipates the built-up charge in violent winds, lightning, and downpours. 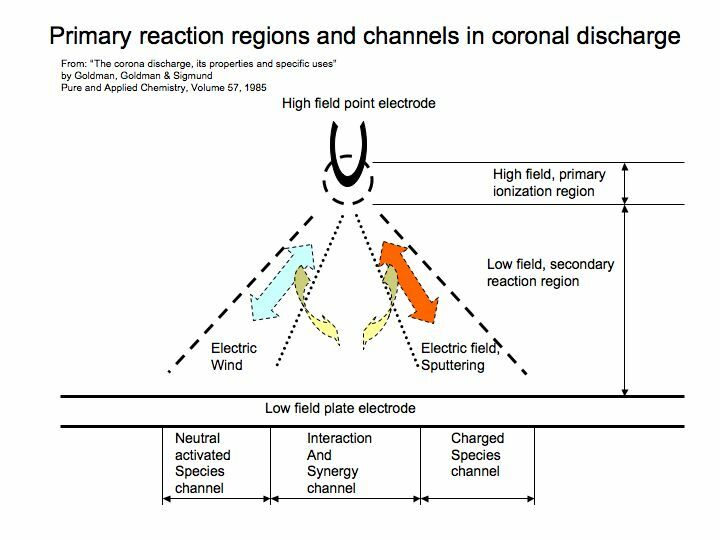 Storms are predictable phenomena of capacitor charge build-up and discharge across a partial plasma layer. Vortex winds, updraft winds and downburst winds, anvil clouds, mumatus, meso-cyclone, and tornadoes are all displays of energized cold plasma in a capacitor’s electric field. Because these forms are fractal, they repeat their predictable forms wherever the electrical process that forms them is present. 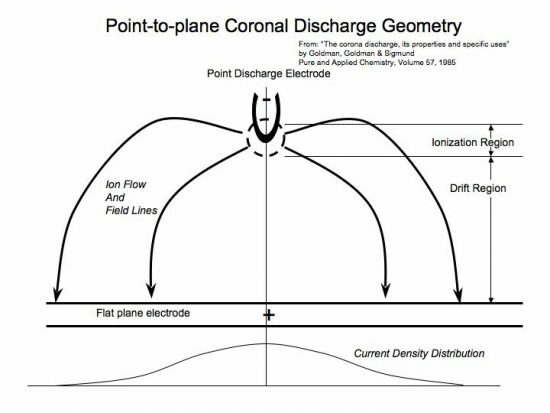 What changes from case to case are the elements in the circuitry — impedance, dielectric, voltage, degree of ionization, and polarity of plasma. Just as no two snowflakes ever match, they still follow identifiable patterns of crystallization which is fundamentally a process of charge diffusion. Likewise, the variables in the environment create chaos that never produces identical results but the electrical processes, circuits, and fractal patterns they form remain the same and are identifiable. 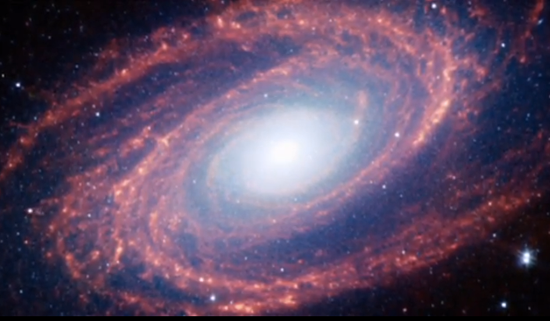 Thus, fractal patterns should appear everywhere, including other planets. And that is exactly the case with the Great Red Spot on Jupiter because it is also a capacitor induced storm. In Part Two of “The Eye of the Storm,” we’ll explore the electric winds of Jupiter and discuss how they work.